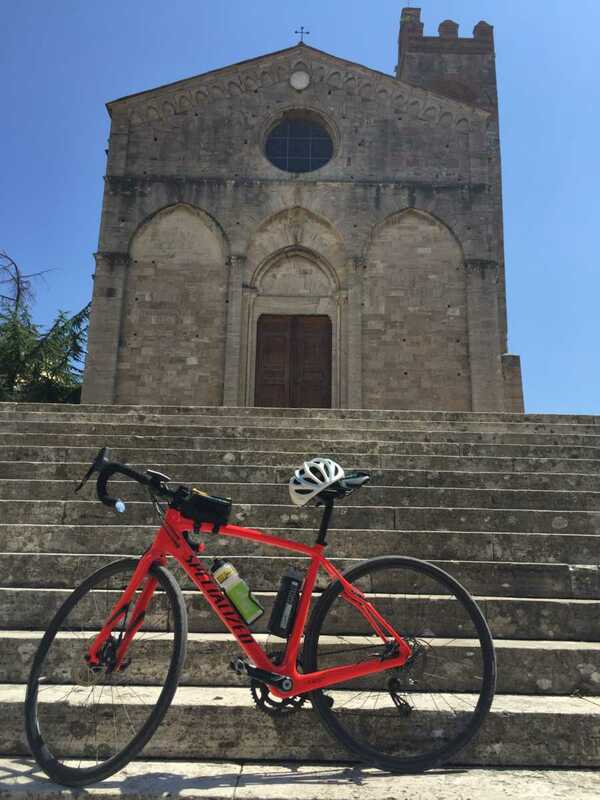 Pick-up: 8.30 a.m. Drop-off: 5.00 p.m.
biking through the lands of wine and Medieval History! 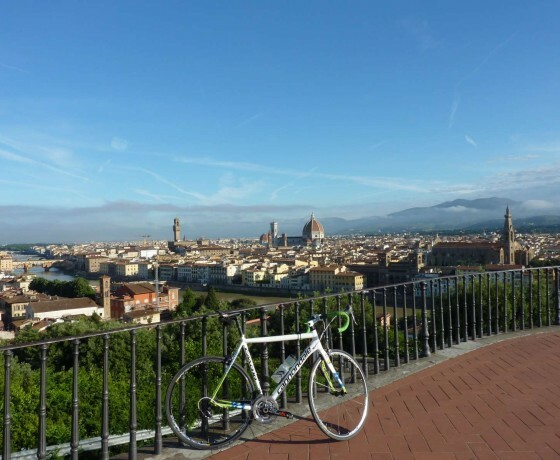 Biking in Tuscany on a loop, starting from San Donato in Poggio (FI) in the outskirts of Florence and Siena. 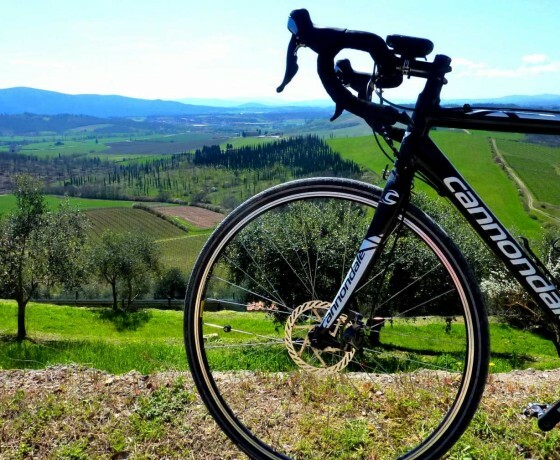 Cycling on these pathways you will admire a landscape way up until the horizon, which may even reach beyond the Chianti hills and the edges of the Tuscan territory on the clearest days. 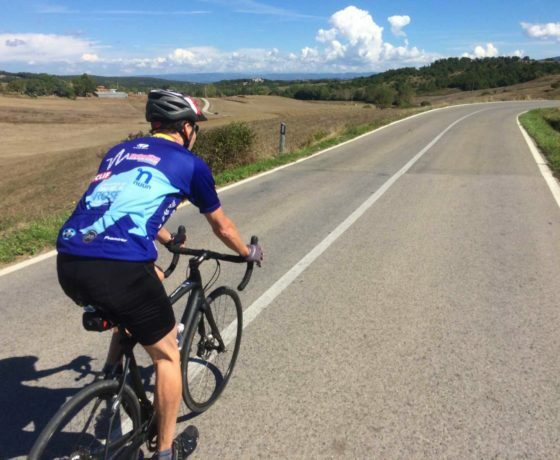 We will keep ourselves on backroads with extremely low car traffic, at all times, on a rolling track with some mild ups and downs, covering the most beautiful and plesant roads in the Chianti area. 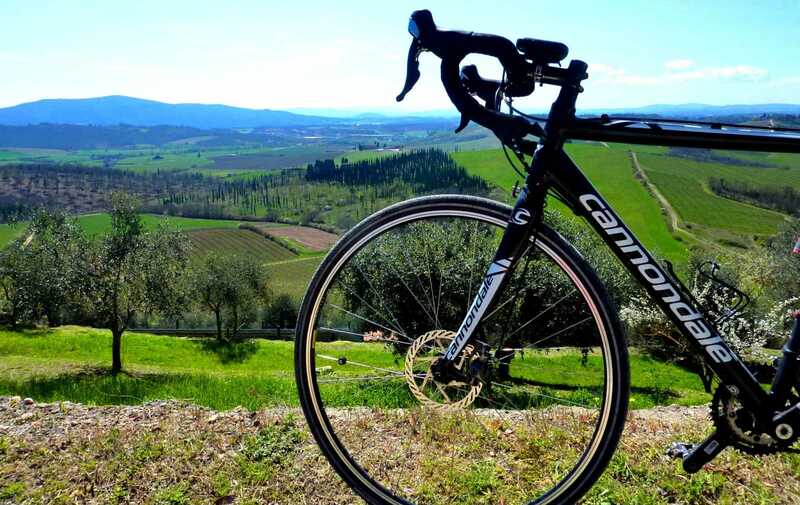 The itineary is scattered with medieval villages, country houses and vineyards. 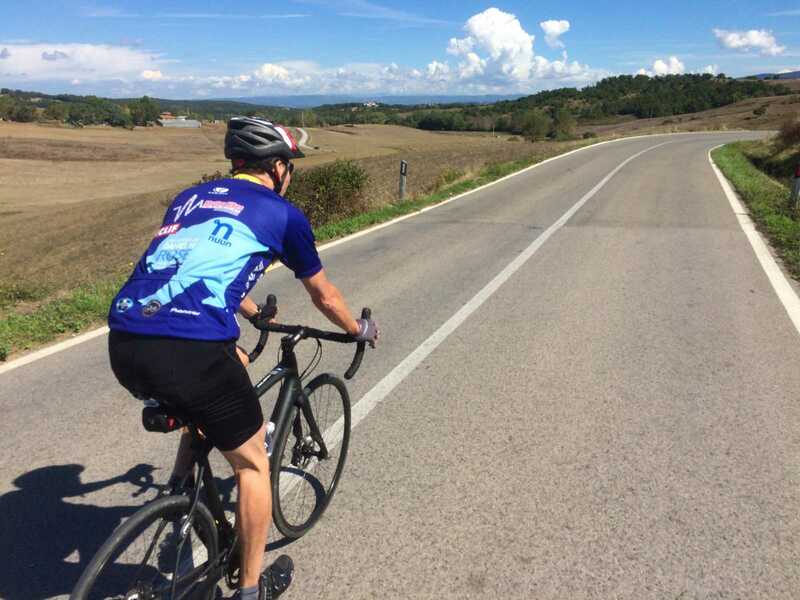 Also – with its balanced distribution of climbs, plateaus and slopes – this ride will grant you the best workout. 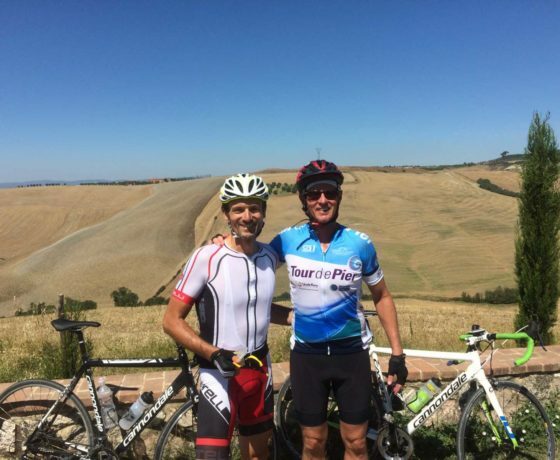 Frequent breathtaking views invite you to keep your camera always on hand, to capture the memories of your outstanding pedaling Tuscany. 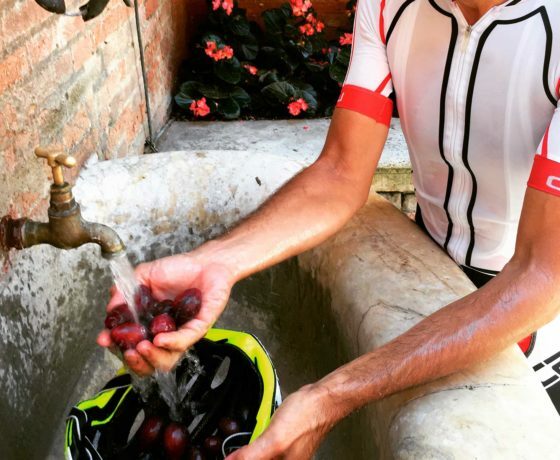 We will not miss the chance, along the way, for a restoring break, taking advantage of local delicacies, toasting to our memorable day with a sip of Chianti Classico! Distance traveled: about 42 miles/68 Kms. 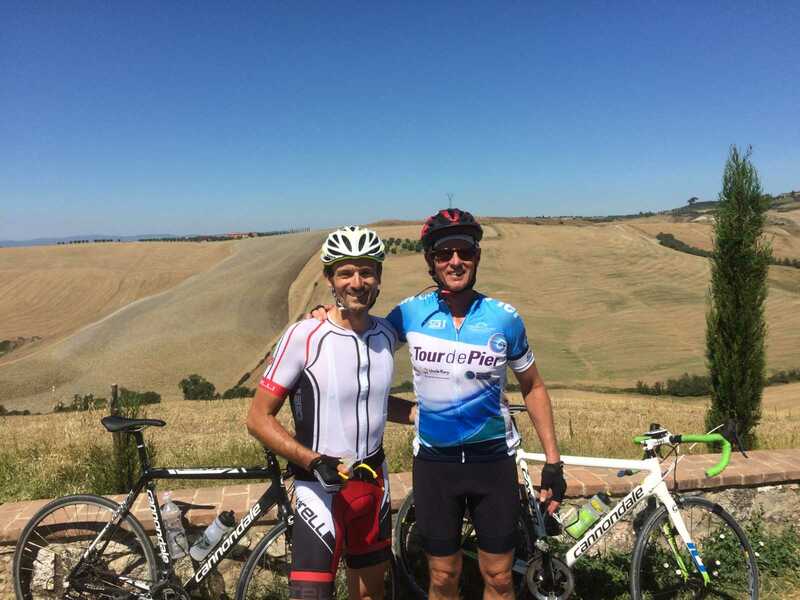 Total elevation gain: 3402 feet / 1037 mts. 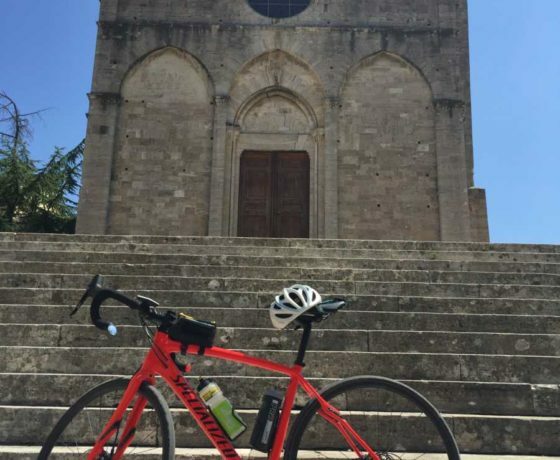 Starting point: San Donato in Poggio (FI). 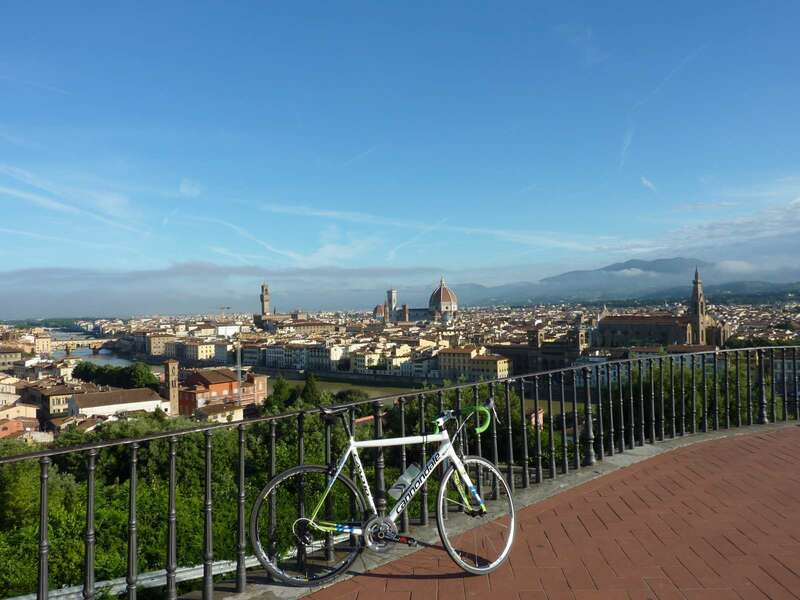 Tour includes: high-quality 27-speed hybrid bikes equiped with road-race tyres, helmet, water bottle, English speaking tour leader riding with you, pick up/drop off in Florence.